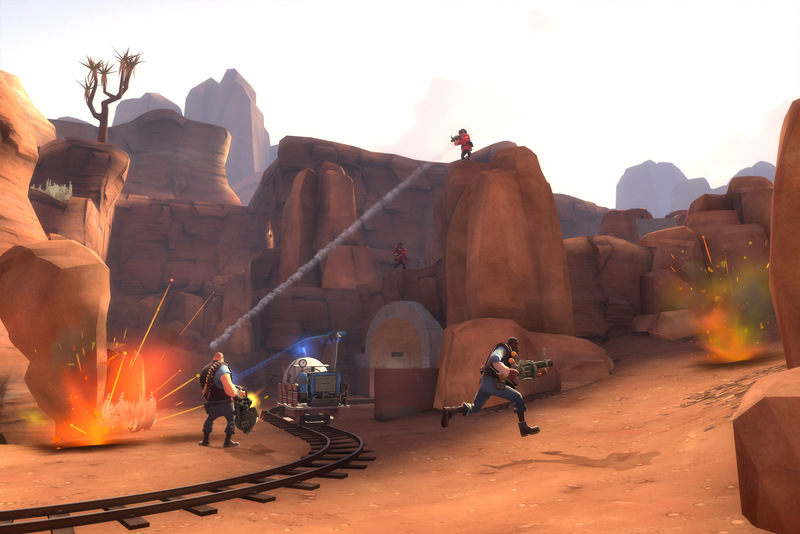 Badwater Basin is a Payload map focusing on more open spaces and less chokepoints than Gold Rush. 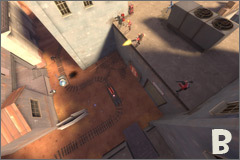 (A) Right out of the gate is a multi-level area where the Blu team needs to control the high ground while moving the cart through a tunnel below. 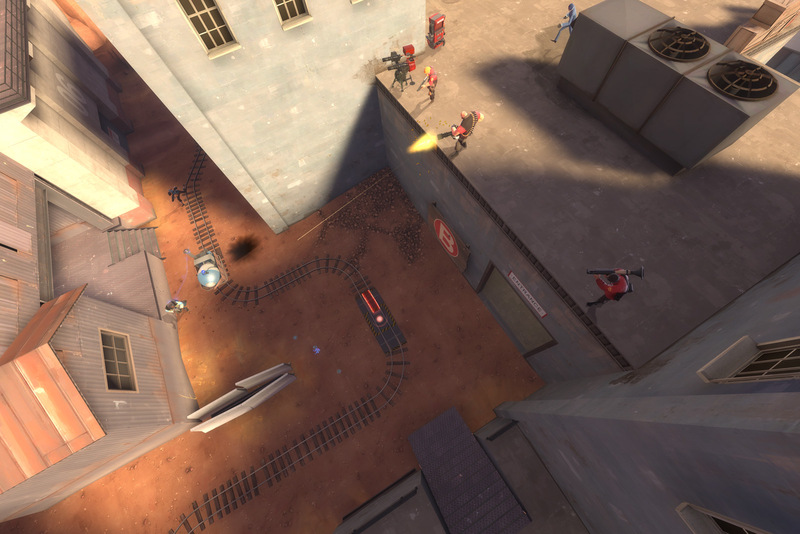 This open area has few natural choke points, allowing Scouts, Soldiers, and Demomen to move creatively through the space, forcing the Red team to rapidly respond to choices made by Blu. (B) As the track winds its way into tighter spaces, vertical control becomes more important. Each successive checkpoint requires the Blu team to take control of defensive positions above the track, usually occupied by Red Engineers. (C) Eventually the track winds down into a large basin which the Blu team must assault from all sides in a final push to destroy the Red base. Unlike Gold Rush, where the track is split into three separate stages, Badwater Basin uses a single large stage with several checkpoints. 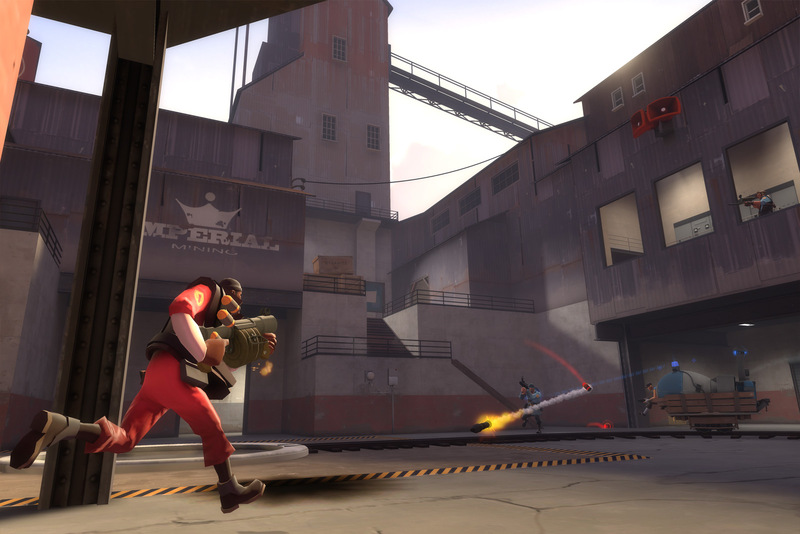 As a result, the Blu team is highly encouraged to push the cart hard after beating their way through the Red defensive line.